Come enjoy some of the very best Central Florida has to offer! Relax on your screened lanai in your very own heated spa with a view to the tranquil, lovely pond behind your home teaming with water lilies, colorful birds, and wildlife. Heathrow, a highly desirable guard-gated, golf community with abundant amenities, recreational activities, and miles of walking and biking trails, readily fills-the-bill today’s active lifestyles demands. 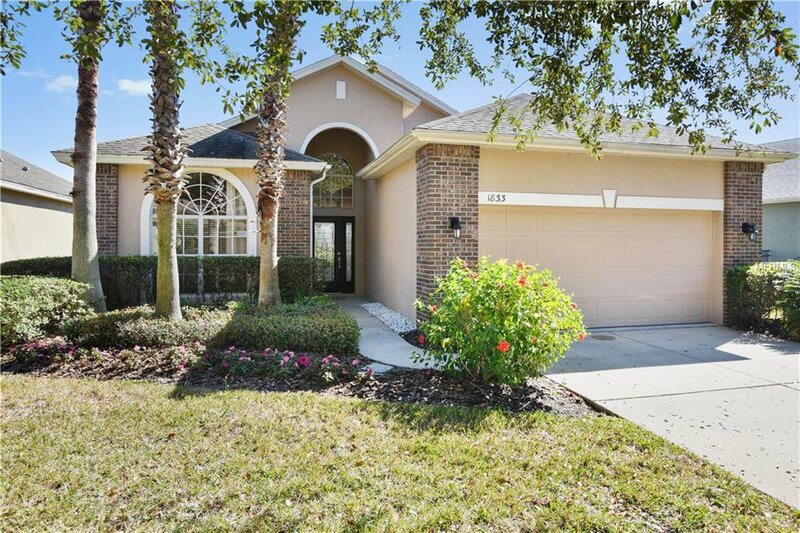 The nearby Colonial Lake Mary Town Center with its many great restaurants and entertainment venues, along with outstanding Seminole County Schools, makes Heathrow the place where everyone wants to live in the Orlando area. This architecturally attractive, bright and airy , open floor plan home has been completely updated with the very highest quality materials. A breakfast nook overlooking the spa and pond, adjacent to the marvelously equipped kitchen with gleaming granite counter tops, warm wood cabinets, and stainless steel appliances, will delight your inner “celebrity chef”! An expansive combo dining/living room provides plenty of space for entertaining and will encourage get-togethers with family and friends. The expansive Master Suite with a view to the pond features a Master Bath with granite vanity and dual sinks, garden soaking tub, a spacious separate glass enclosed shower, and ample walk-in closet space. Window treatments and lovely wood floors throughout, excepting large tile in the kitchen and baths, make this a very special Heathrow Home. Listing courtesy of WATSON REALTY CORP. Selling Office: GALLERY OF HOMES RE PROF..